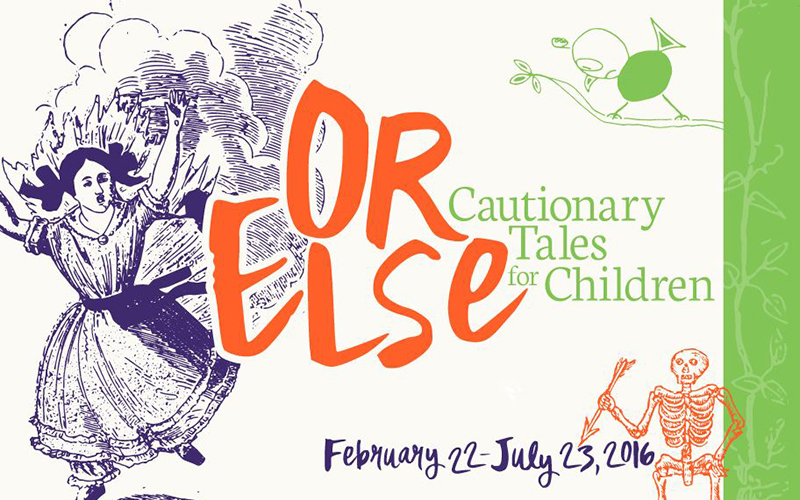 Now through Sat, July 23, 2016 5:00 P.M.
Books for children don’t always end happily ever after. For more than 250 years, “children’s literature” has balanced a desire to keep little readers’ attention with a mission to keep their attentions proper. This exhibition highlights moral reckonings—both morbidly satirical and mortally serious—in children’s literature from the 18th century through the modern era, featuring both forgotten gems and enduring classics, and includes a corner reading nook to experience the stories directly.